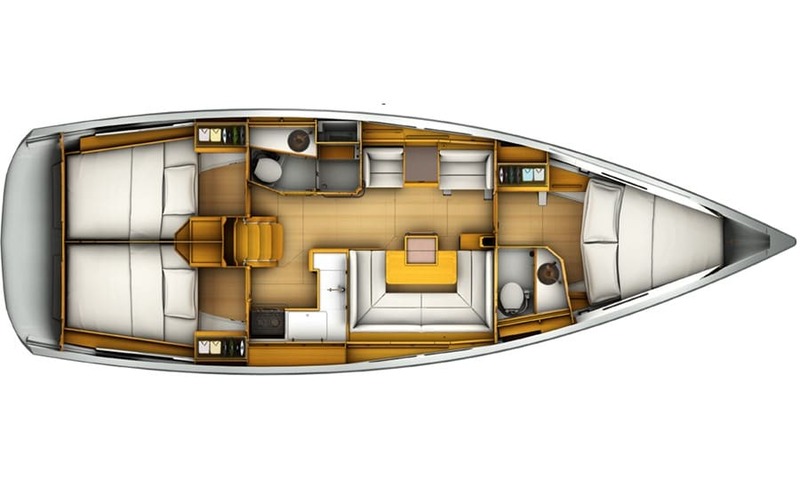 This new model 3 cabin yacht is ideal for 2 to 3 couples and families, with the spacious cockpit benefiting from twin wheels and bathing deck. 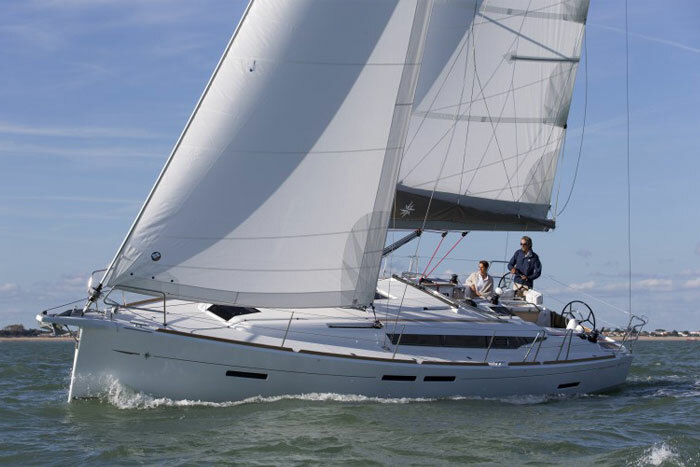 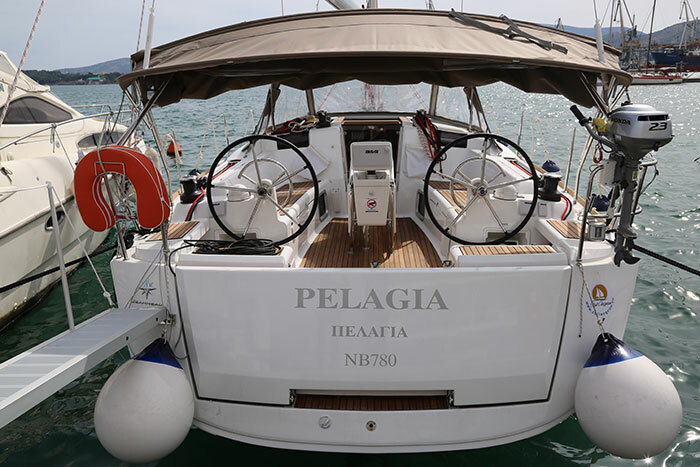 She has a comprehensive specification, with bimini and sprayhood, chartplotter, electric windlass, holding tank, autopilot and dinghy all as standard. 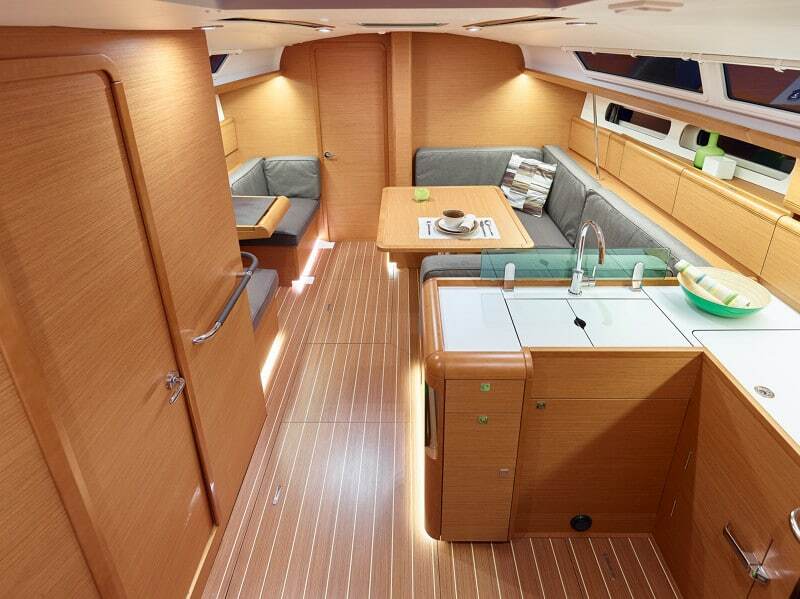 The additional heads compartment forward turns the forepeak cabin into an en-suite – perfect for the parents!